What is a buddha bowl? 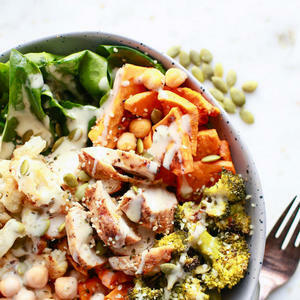 Before I get into today's delicious and healthy recipe I want to talk about buddha bowls! What is a buddha bowl exactly? Here's the definition according to Wikipedia: "A Buddha bowl is a vegetarian meal served on a single bowl or high-rimmed plate, which consists of little dishes, served cold.